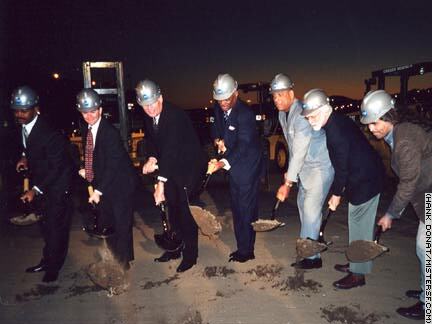 Twenty years in the making, the Mission Bay development moved a giant step closer to reality with the October, 2000 ground breaking for the first residential blocks of this new neighborhood. The complex is expected to have more than 6,000 housing units, one-third of which are allegedly earmarked for affordable housing. Built on former railroad yards next to Pac Bell Park, Mission Bay will include office, retail, and green space, in addition to a satellite campus for the University of California at San Francisco.